You can claim that I killed that person but that arm doesn’t belong to me. Well maybe it did with that other person, before the accident but since my left hemisphere has taken control now I know the whole truth. A matter of fact how can you say that arm belongs to me in the 1st place for can’t you see I can’t move it? 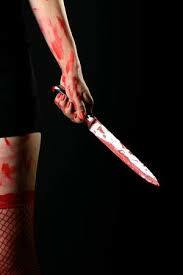 Feel free to cut it off along with the bloody knife that’s stuck in it’s grip. It’s not my arm no matter what you tell me. The truth is it I would never stab someone at least not with that foreign arm. FOOTNOTE- You might have to study the right and left hemisphere’s of one’s brain before this post is fully understood.